A SharePoint site looks more appealing when you add images to it. It can be photos of team members or successful events, or it can be pictures with links that work as clickable icons or hotspot images. In a new article in the kalmstrom.com Tips section I describe six different ways of adding pictures to a SharePoint page. I recommend you to work with the image so that it looks as you want it before you add it to SharePoint. Even if SharePoint itself gives some editing possibilities, for example to change displayed size, it is not a picture editing program. Before SharePoint 2010 the only way to add an image to SharePoint was to place it inside a web part. This is still an option, and it is useful, for example if you want to have a certain background color for your image or when you want to add a slideshow to the page. From SharePoint 2010 it is also possible to insert images directly on a SharePoint page. The images can be fetched from your computer or from the site collection, and you can also add a link when the picture is fetched from another website. I recommend that you never fetch image links from sites you have no control over, because if the image is moved or deleted it will no longer be displayed on your SharePoint page. It is better to upload the image to the Site Assets or some other document library and fetch it from there. 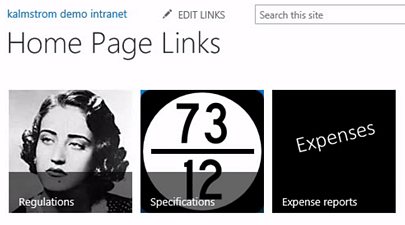 In my series of tutorials on SharePoint links I give some examples on how you can link images. 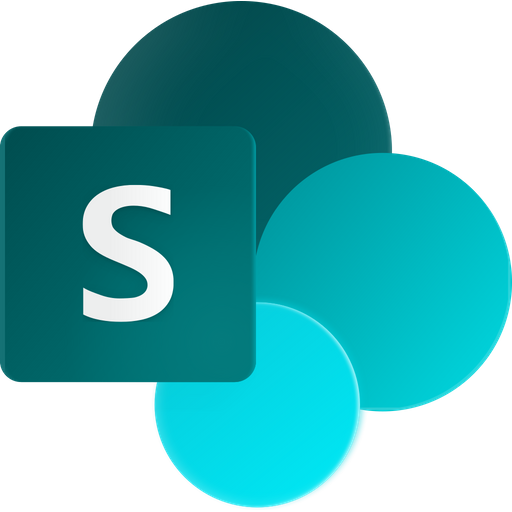 Please have a look at the Tips articles on how to create a PowerPoint picture and make a SharePoint button of it, how to create an image with clickable regions and how to create your own promoted links, like the tiles you find on the default SharePoint team site. There's a lot you can do with images and links, and it's fun!